Echidnas are tuning up in preparation for our trip to the Music City! And having you visit our booth would be music to our ears. It’s coming fast -- we’re only two weeks out from DrupalCon Nashville. This annual event on the Drupal calendar is the largest in North America, routinely surpassing 3,000 attendees.The swag is already packed and en route to the Music City Centre, and we’re excited to be a part of this incredible event. Obviously, we’re hoping you’ll drop by our booth -- Booth 210 -- and show us how you’ve been polishing up your hockey skills over the past year. After all, the NHL’s top team is the Predators this year, so we all have a lot to live up to! And, of course, you know you can win one of our Drupal 8 jerseys for your efforts. We’re not hard to find at DrupalCon. Generally, when you have a bunch of people walking around in matching jerseys, you tend to stand out from the crowd. 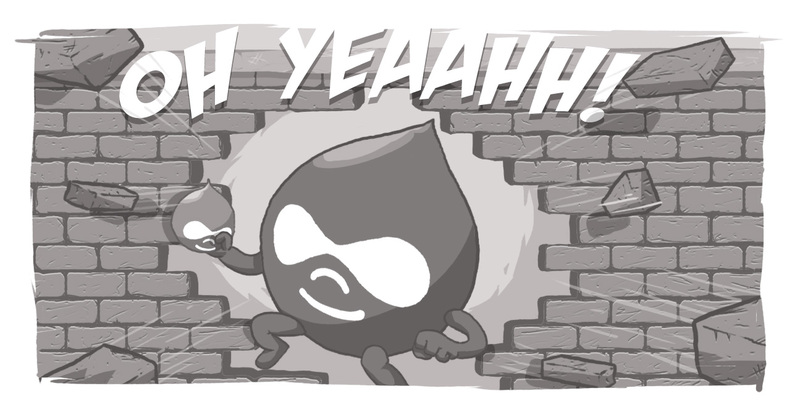 But we also are happy to show up, en masse, to support the incredible Drupal community. We are Silver-level sponsors of this event and Echidnas will be attending and presenting at a whole bunch of sessions. Chris McInnis, who will be giving a talk at the media summit. Fatima will also be part of one of the community convos on Sprint Mentoring. And chances are you’ll see a few Echidnas pop up in various other events and activities. But one of the most exciting things about events like DrupalCon is the opportunity to having conversations with other people passionate about Drupal. The strength of this CMS is its collaborative nature and the community that sustains it. We’re always thrilled to be able to teach and learn from other developers and client service team members as we continue to work to improve Drupal and expand the business landscape into which it can grow. We also hope you’ll reach out to us on social media! Drop us a note on Twitter or send us a message on Facebook! At the very least, you’ve got a couple of weeks to hone your hockey skills. We look forward to seeing you there! Who will be presenting at DrupalCon Nashville? Are there any Canadian companies at DrupalCon? What is the company that always wears hockey jerseys to conventions?